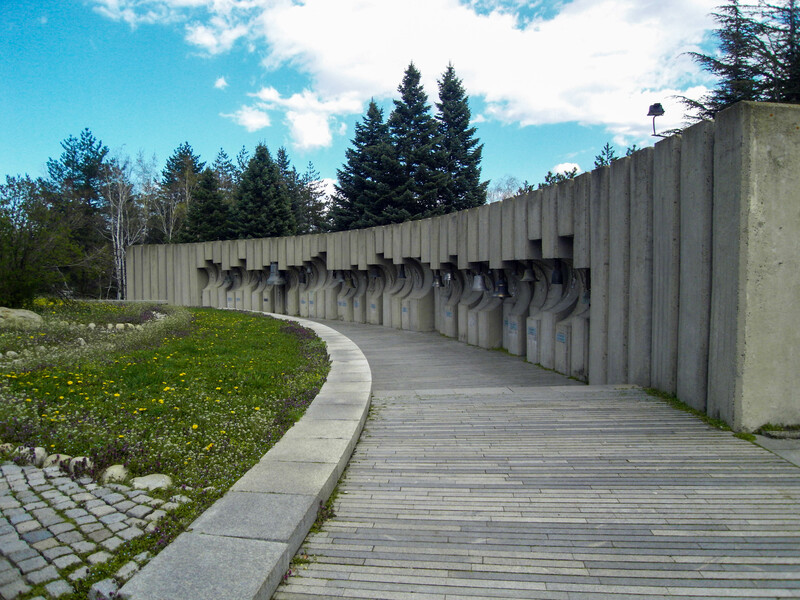 Banner of peace was built in 1979 as a symbol of the International assembly for gifted children held in Bulgaria and was adorned with bells brought by delegations visiting the country. Almost demolished in 1996, the monument was partly restored in 2002 with new bells. The United Nations announced that 1979 was to be The Year of the Child. Guided by that, Lyudmila Zhivkova–daughter of the Party leader Todor Zhivkov, and Head of the Committee for Culture of Bulgaria–proposed to convene an International Assembly for gifted children. The project was welcomed and realised with the help of UNESCO. The motto of the Assembly was “Unity, Creativity and Beauty”. The motto, name and concept of the Assembly were influenced by the philosophy of the Russian artist and philosopher Nikolay Roerich. ‘’Banner of Peace” was the name of his movement for peace that he introduced to the UN. One of his goals was to gather together gifted children from all around the world; to “collect” and guide them in how to become the new leaders of the world, trained in the values of peace and friendship. Lyudmila Zhivkova was Roerich’s follower and was making a lot of decisions based on his ways. Except for the Assembly, she had other projects connected to the youth programme. When Bulgaria was chosen to host the international event, the preparations were great. 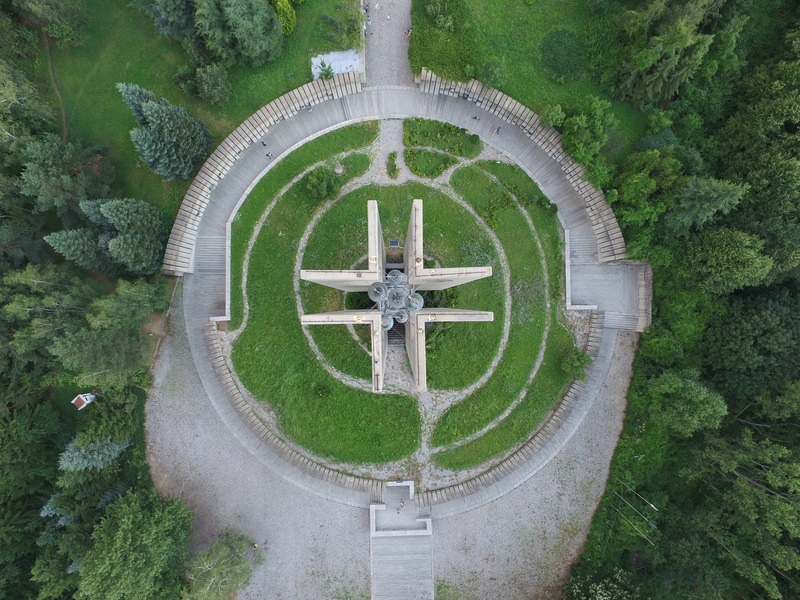 The park-monument was erected as the symbol of the Assembly and was built in only 30 days, so that it could be officially opened during the event. 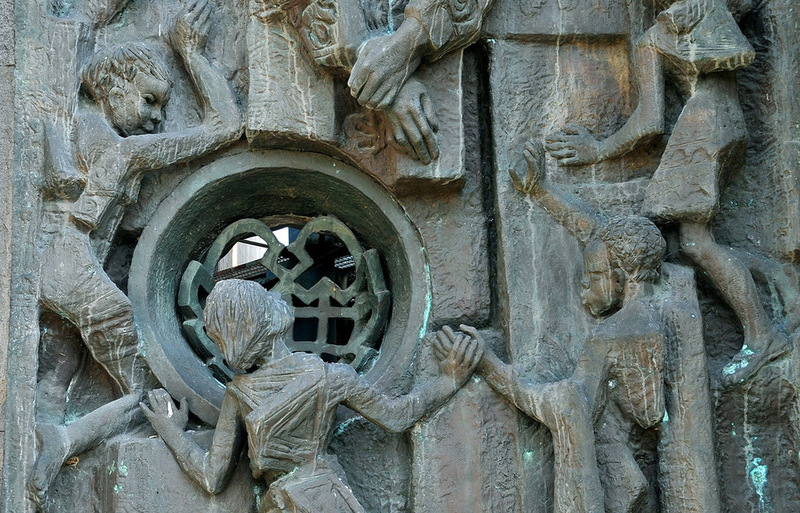 The monument features a central pillar with 7 bigger and 18 smaller bells that can even play a whole concert. There are separate concrete pedestals around the pillar that hold the bells–186 in total. For the Assembly in 1979, Bulgaria was visited by delegations from 78 countries. Each brought a bell, traditional for its country or folklore. The oldest one was from the 11th century, and there was a replica of a 5th century bell as well. The event was meant to be a one-time thing, but it was liked so much that a decision was made to hold it once every 3 years. There were only 4 Assemblies held before the totalitarian regime fell and the initiative fell into oblivion. In 1996 the monument was consigned for demolition, and the bells were to be moved to the Italian Lyceum for storage. The locals, from nearby neighbourhoods, gathered and stopped the demolition work thus saving the monument. In 2002 the installation of new bells resumed–with a gift from Pope John Paul II. There is a civil, non-government project to restore the monument, to clean it and restore the resting places. 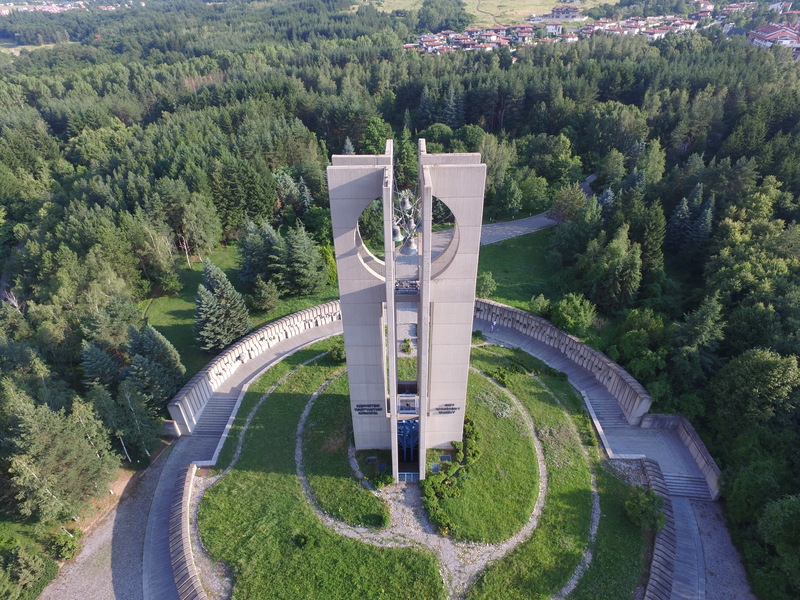 The project is currently working on restoring lighting to the monument so that it can be lit at night, and raising awareness in the community about this monument with different tours, festivals and bell concerts.